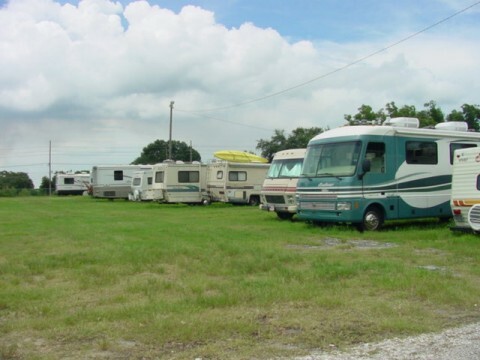 Happy Traveler RV Park & Storage is located in Thonotosassa on Fowler Avenue, between Interstate 75 and U.S. Highway 301, kitty-corner from Big Top Flea Market. 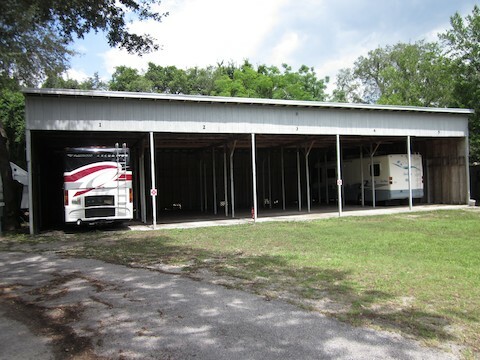 Our storage area has approximately 225 spaces. You can choose from open or covered spaces (depending on availability). Some of our covered spaces have electricity available. 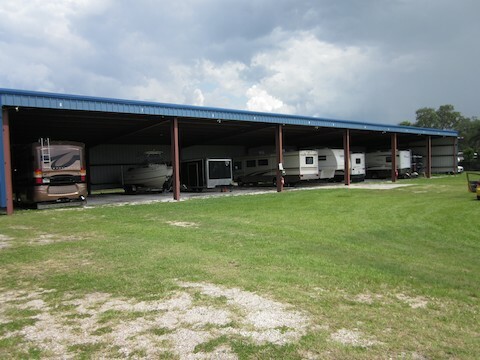 Rates are $70.00 per month plus tax for open storage and $190.00 per month plus tax for covered storage (electricity charged separately when used). Our storage area is fully fenced in and secured with an electronic gate. Access is available by code using a keypad. 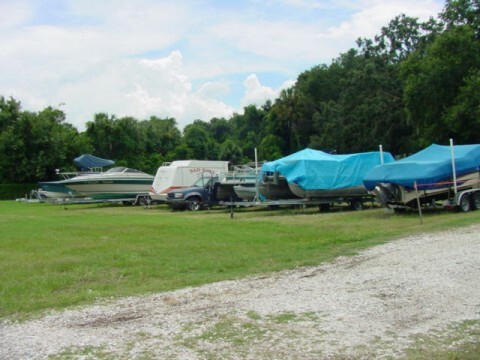 The storage area is only accessible from within Happy Traveler RV Park and is monitored by security cameras. For your convenience we have a gate attendant on duty after regular office hours to assist you if you need access after the office is closed. If you need additional information please click here to contact us. Thank You.